As all sound gurus know, real audio power will come from the low end, which is the bass. When you feel the rumble in your chest—that is it! Many of us would want this audio quality in our homes, but with a myriad of subwoofers out there on the market today, with various sizes and specs, it would be very challenging to choose the best home subwoofer for your needs, especially if you know only a little about audio. Fortunately, it can be made easier by just looking into what we have on this list. By filling in the bottom end of your home theater system with, probably, the best home subwoofer around, the PSW10, you can relieve your main speakers from performing bass duty and just let them work on the mids and highs. This speaker from Polk Audio is a great addition to your subwoofer-less system to bring your movie-watching experience to the next level. Like other woofers, the PSW10 features a floor-coupled downward firing port, of which configuration brings out maximum bass impact, while keeping the front of your cabinet as low profile as it can be. It is also made of the best materials using the most advanced manufacturing techniques, passing all the industry’s most exhaustive quality tests, including extreme signal response, drop testing, and UV and salt exposure testing. This Polk loudspeaker is definitely built to perform for a lifetime. One caveat though is that the subwoofer input has two connectors, but you would really need one of them to connect. Then, the manual is not quite clear about this, and you would probably spend extra on a Y cable or, worse, an adapter, which will certainly add both cost and loss of fidelity. Fortunately, just connecting to the left input works fine, as subwoofers are mono, anyway. Also, double inputs are primarily there to make it easier for users to configure wiring. Conveniently add this subwoofer to your Sonos system for amazing room-filling, deep bass sound. 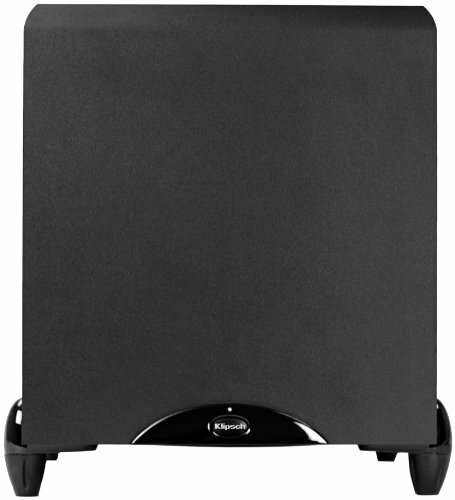 Unlike other similar loudspeakers, this can be placed anywhere in your room, even lying flat under your couch. You can also use 2 force-cancelling speakers that are positioned facing each other to get a deep sound with zero cabinet buzz. 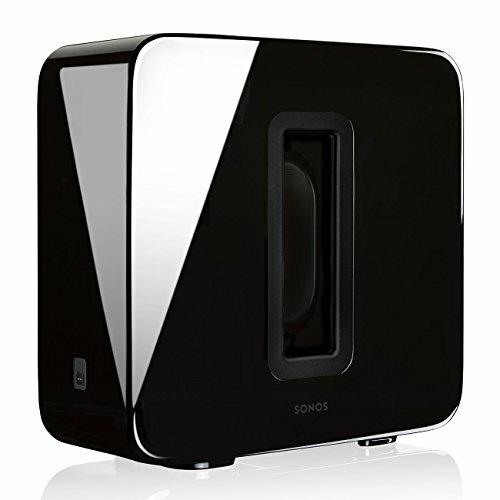 Like what other people consider as the best home subwoofer, this Sonos loudspeaker has excellent build quality. However, it can be considered better in terms of ease of use, where you can pretty much understand how it works intuitively from the word go. This system can definitely fill your home with sound that can put out some BB King Jazz or pump out some AC/DC songs without missing a beat. Though this product is expensive, it is worth your every penny, which has become a rare thing in today’s world, where you will honestly get what you pay for. Yamaha’s advanced YST II, linear port and front-firing design has given this subwoofer an outstanding combination of clarity, depth and power. Its features include an 8-inch multi-range driver with magnetic shielding; high 100 W dynamic power; low (28-200Hz) frequency response; linear Port for minimizing extraneous noise; and a front-firing active function—making it a good candidate as the best home subwoofer around. However, you should also know that this subwoofer has limited facilities to integrate into your current sound installations. This does not necessarily mean that it is a bad product, but it lacks some flexibility in some situations. For one, it does not have a crossover frequency adjustment, which means that you should have a pre-amp or receiver with an adjustment feature, as you will not be able to control this at the subwoofer. Also, it lacks a phase adjustment, which is needed in some installations for the subwoofer to integrate properly. Moreover, it does not take high level inputs, so your pre-amp or receiver should have a subwoofer, LFE or pre-amp output for connection. Before purchasing, make sure that you do not need any of these features. 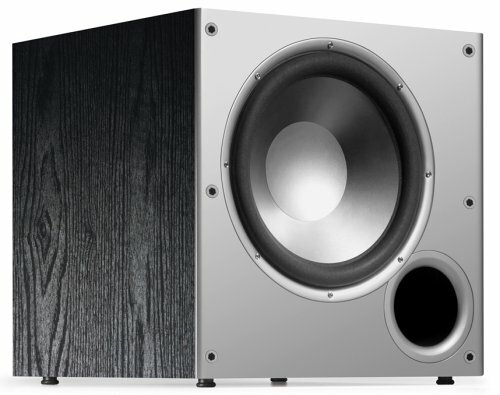 Before deciding on which is the best home subwoofer for your requirements, remember to look for the power. 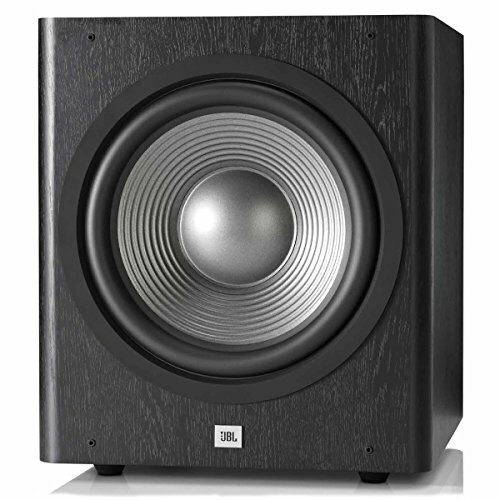 Well, the JBL150P is definitely a powerful 10-inch powered subwoofer that is driven by 300 Watts of power. It comes in both black and cherry to suit the existing theme of your space and has been designed by JBL, which is a leader in both home and professional speaker design. This model will give your home theater system the bass it needs for an outstanding experience. Its features include a JBL computer-optimized bass-reflex port that provides deeper bass and less turbulence; premium components that give you less distortion; great design to look good anywhere with a style that equals its substance; the JBL ES Series that uses cellulose-fiber cones reinforced with a polymer coating for uniform pistonic motion, eliminating internal resonances without increasing the cone mass. However, some users have noticed this loudspeaker making weird buzzing noises after sometime, and if you should experience the same, have it checked by experts. 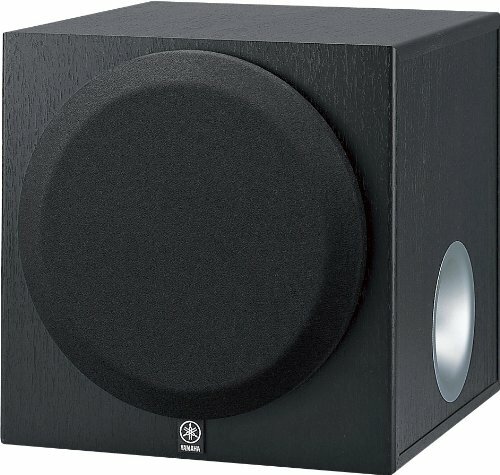 The best home subwoofer should have great bottom end for every audio. For the Klipsch Sub-12 HG, it delivers the two of ten of the lowest octaves humans can hear, which means it can intensify your listening and viewing experience. With its down-firing driver and rear-firing port, you can have an increased bass response with low distortion, filling your room with warm, rich bass that you can feel almost as much as you hear. Its built-in, steep-slope low-pass crossover is continuously adjustable from 40 to 120Hz, and a phase control facilitates acoustical integration with other speakers in your entertainment system. Plus, an “auto power” feature enables it to turn itself on and off automatically, based on the presence or absence of an audio signal. In addition to its ability to play louder and deeper sound, it also features an industrial design that is refined and aggressive. One probable (and small that you can easily fix) issue is the blue LED light on its cabinet’s lower front face, which can be too bright in your dark room. Well, you can solve this problem by simply putting a small piece of black electrical tape over the light to hide it; just make sure the color of the tape would just blend in with the cabinet not to be noticed. Aside from those on this list, you can still find the best home subwoofer among other options on shopping sites, such as Amazon. Now, you can pump up the volume!